As I previously mentioned, I self diagnosed myself with a slight dairy intolerance. If I had too much dairy I would get a stomach ache and my acne would flare up. I knew I needed to avoid it and I have been dairy free for about 6 months now and I don’t look back. I know you can get allergy tests and things done at the doctors but that is often only if you have struggled for a while of if it effects you really bad. They won’t offer you a test if you think foods are causing acne. I also do wonder if a particular food may cause my migraines. 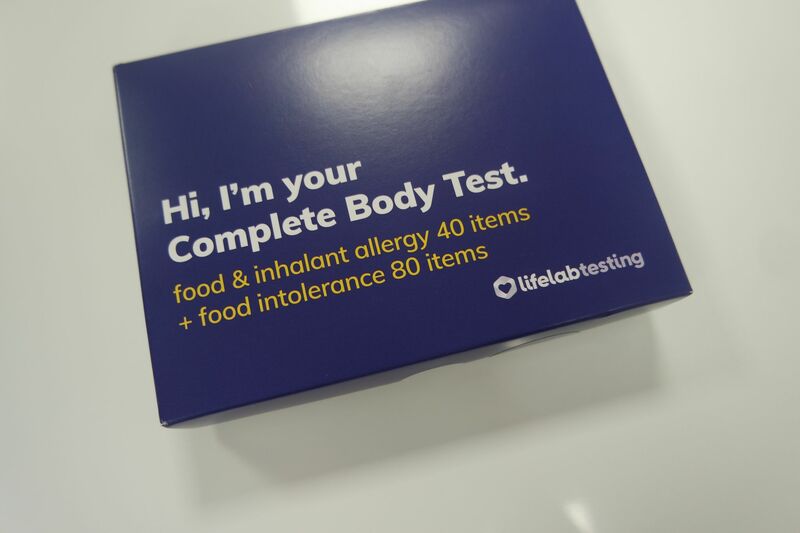 Lifelab testing are an online service which offer a variety of allergy/intolerance tests. I went for the complete test. 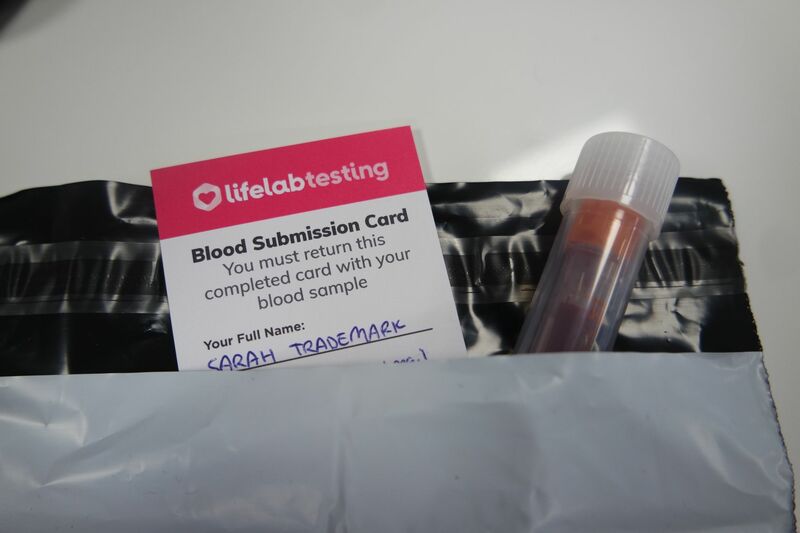 After registering your test online and completing the card, you then have to prick your finger and extract the blood. You fill the small container and then post this back in the envelope provided. 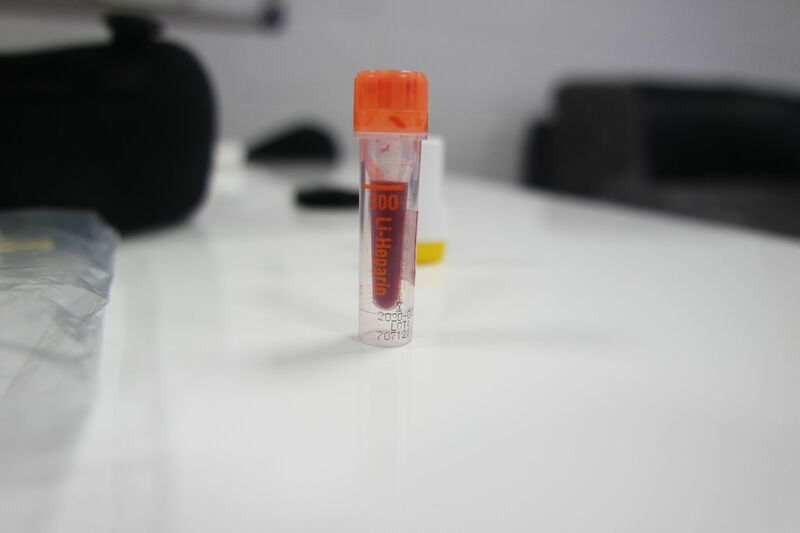 I took my blood on a Tuesday and posted it that afternoon, by Wednesday lunch time I had an email saying they received it and are testing my blood. 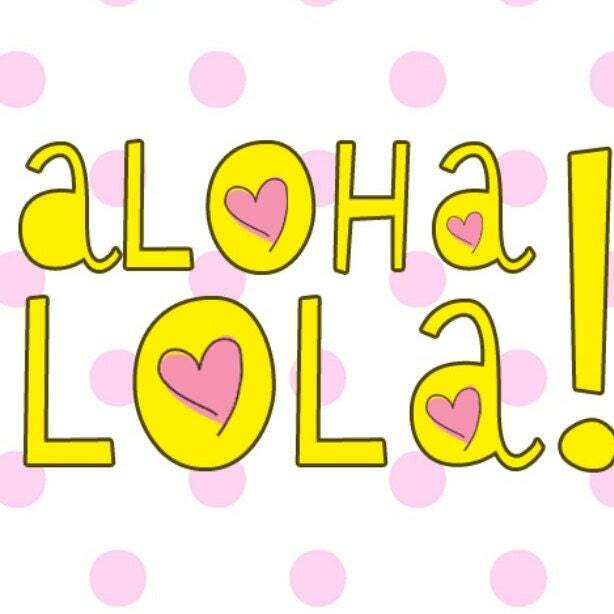 My results then came back the next Monday via email. It was so interesting to see what it came back saying as I was expecting a reaction to dairy and I had no ideas I would react to certain nuts! 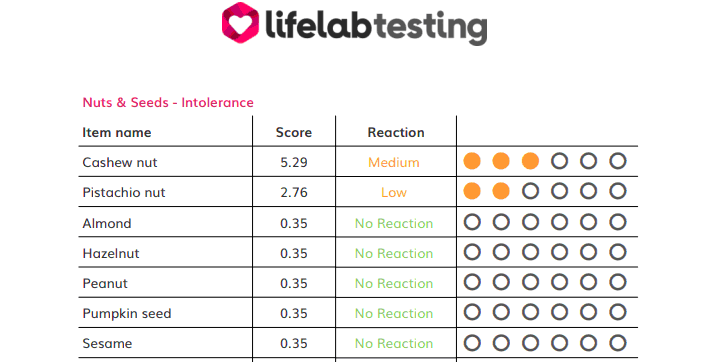 The test results are emailed through and it also shows how severe the allergy/intolerance is. I am now starting to wonder how nuts effect me? I eat cashews or cashew based snacks a lot, maybe this is causing my migraines and my acne? 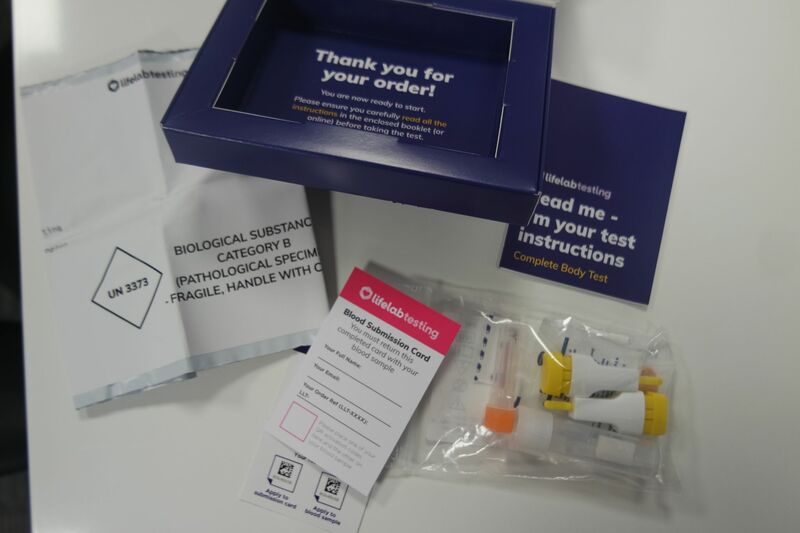 I think if you are worried about having a reaction to something but you can’t pin point it yourself then it is worth getting a test done so you know what to avoid. Are you allergic or intolerant to anything? this is so interesting, important to know any allergies!! This is so interesting! 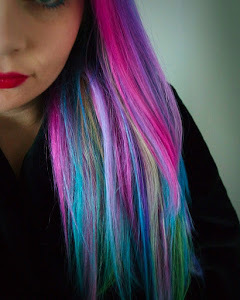 I’d love to do this! OMG i’ve never seen anything like this its an amazing idea! 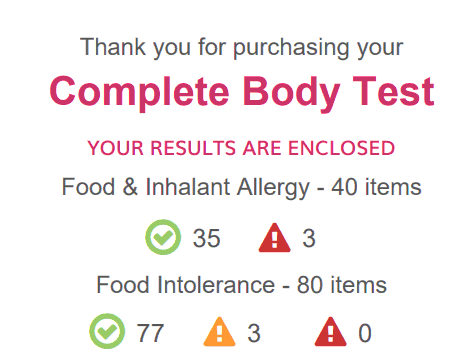 I’d love to do this test, sounds so interesting because apart from hay fever, as far as I’m concerned, I’m not allergic or intolerant to anything? This is so interesting! I might need to try this!